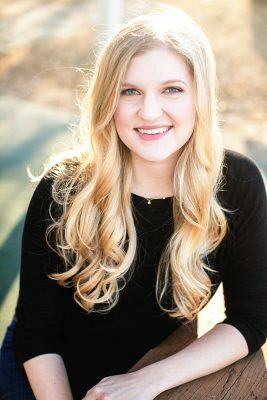 Elizabeth Butler graduated from the University of North Texas and obtained her Bachelor of Arts Degree in Hospitality Management with an emphasis in Event Planning. She started with Significant Events of Texas in 2009 as an intern and has used her naturally effusive personality and innate organizational skills as she has grown to love the industry. Elizabeth has also had opportunities to work with other companies involved in event planning to round out and broaden her knowledge. She regularly expands her knowledge of the event industry by participating in professional industry organizations event with Meredith, Kristin and Rachel and has enjoyed making contacts in all facets of hospitality planning. She is very excited about being a member of the Significant Events family and looks forward to helping make your event a memorable one! Elizabeth was highly responsive and flexible to our ever-changing needs throughout the process. She showed a genuine willingness to ensure our day was an event to remember. The team at Significant Events showed us one thing, they were there with the sole purpose to do everything to make our night one we would never forget! They were highly attentive, addressed any issues that came up and most importantly, made sure our champagne glasses were never empty! I would recommend without any hesitation! I could not have done this event without Elizabeth neither would I want to. She went above and beyond to make sure my event was the best. She is approachable, timely, proactive and professional. I love my event coordinator! Elizabeth, MY GIRL! You were awesome! Everyone told me how great you were and how smooth everything went and we can thank you for that! Totally wanna get married like 100 times and have you as my coordinator, ALWAYS! Our wedding was something I had always dreamed of as a little girl. I promise I have nothing bad to say about our wedding night. It was PERFECT, and I really mean that. I kept telling Taylor I wish we could go back and do the entire day over…and over and over and over. We had a blast and will NEVER forget this special memory. We appreciate EVERYONE who worked so hard to put everything together, and will recommend every single vendor we used. Thanks again! Of all the travels , all over the world, that Judy and I have made and the professional people we have dealt with..none compares to you. You are, by far, the most professional and personal person we have had the pleasure to work with....as little as it was on our part. When I spoke to you on the smallest of issues, at the wedding, I felt as though I was talking to a member of my own family. You and Laura could not have been better to bring the utmost pleasure to such an event. If there is ANYTHING you should EVER need from Judy and I to help you in your future endeavors.....please email or call.